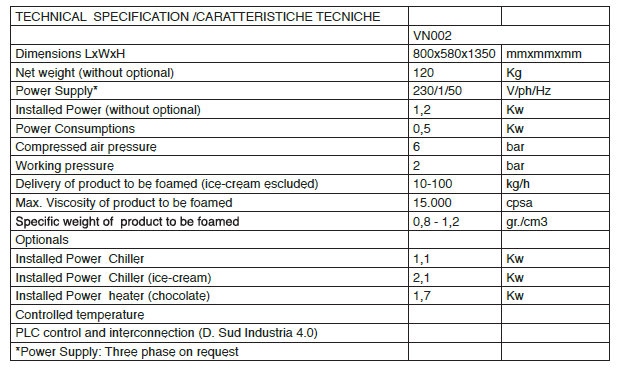 OPTIONAL 1: Cooling system complete of chiller, pipes and fasteners (temperature down to +5° Celsius degrees), suitable for sponge cake, whipped cream, etc. OPTIONAL 2: Heating system (cover) electric, suitable for chocolate, etc. OPTIONAL 3: Planetary, suitable for sponge cake, meringue, whipped cream, etc.